The devil is surely in the details. 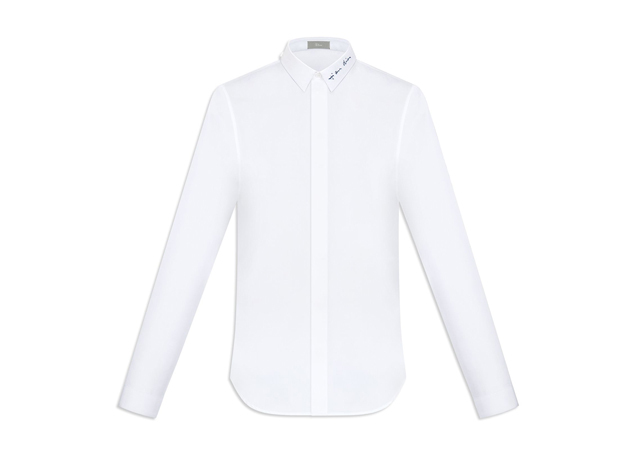 Kris Van Assche couldn’t agree more when he created the latest spring shirts for Dior Homme with an emblem of Mr.Dior’s signature. As a nod to the master of the house, the “scar” is embroidered onto the lapels of each shirt, giving it an effortless luxury feel. A vision of elegance and timelessness. Tags: dandy, dapper, dior, dior homme, diorhomme, elegance, fashion, kris van assche, krisvanassche, luxury life, mens fashion, mens shirts, mens style, menswear, preppy, shirts, signature shirt, sior signature shirt, spring2015, style, swag, the dandy candy, white shirts. Bookmark the permalink.